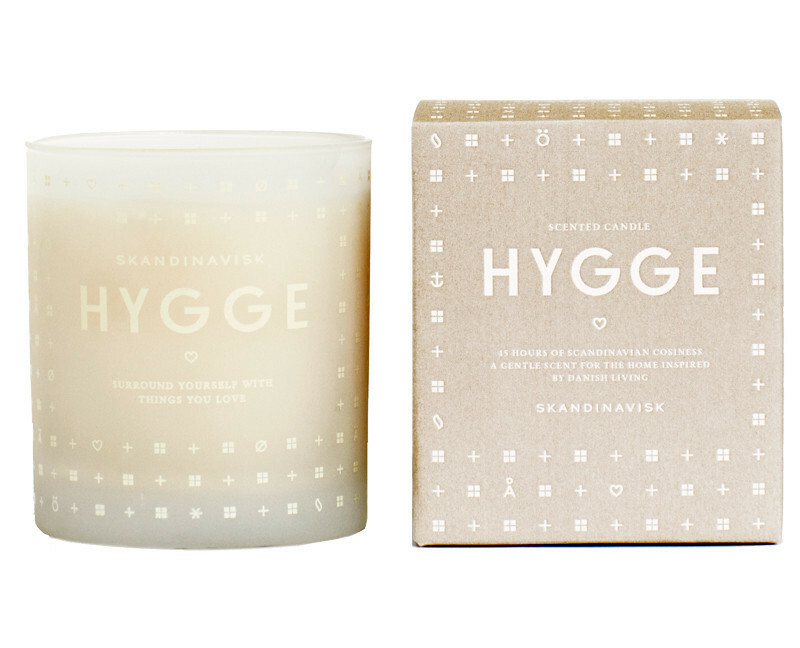 Candles are an integral part of hygge, and the Danes love to burn candles all year round. Some people say that the concept of hygge started somewhere, with a source of light in the middle, and people huddling together, to keep warm. Togetherness is very much the heart of hygge. It’s common to create a certain atmosphere in your home, and at dusk lighting some candles, and sitting down together, and playing a game, reading a book, or watching tv. The candles are often tealights or scented candles. Today I have rounded up my top 5 favourite candles. I have tried and tested hundreds of candles and these I love. I can almost guarantee that these will bring you 100% hygge. I had to share this candle with you. This is the epitome of ‘hygge’ with notes of tea and baked strawberry cake, rose petals and wild mint it creates a cozy ambient mood and the scent is lovely and warming. Stunning turquoise candle with a stunning lid in glass.This candle has notes of California driftwood, sea salt and the freshness from the sea, which makes you dream of a beach house by the Pacific ocean. How I adore the violet. Beautiful to look at, and the scent of this candle is intoxicating (but not overpowering). This candle is a classic, and the label will always stand out as one of the most famous scented candles out there. The Neom range consists of fabulous candles that do not soot. Probably the most whimsical of designs here. I love the tiny polka dots on the glass and the scent is heavenly. Perfect Peace candle, a blend of 25 pure essential oils including pine, myrrh & lime peel. Breathe deeply and feel your tension lifting away. ‘Scent to make you feel good’. 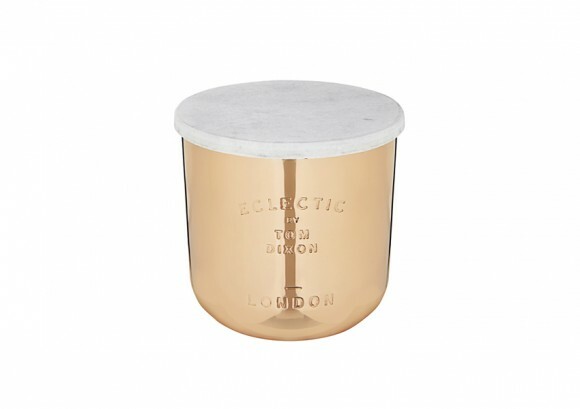 A beautifully crafted metal vessel with a marble lid contains this beautiful candle with the smell of red brick and London parks with crocuses and nettles, and the salty smell of the Thames at Dagenham. This candle brings me straight back to all the years spent in London. 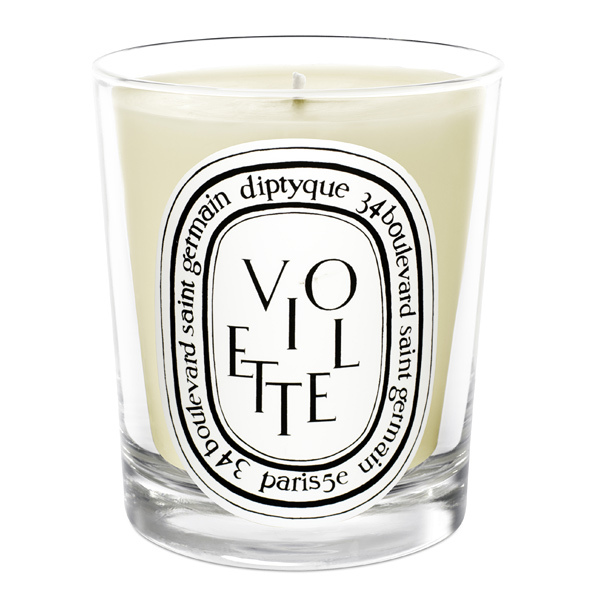 I love scented candles, and I know the Diptique one well, they were the first scented candles I remember.